SQUIRT goes the GIF... Straight from Adobe After Effects! GIFsquid was designed by people who take animated GIF files seriously. Other solutions are expensive and provide limited options. Not GIFsquid! We have too many options, many of them confusing! And more are always being added! Animated GIFs, the Easy Way. Nothing could be easier. Except not making a GIF at all. But who has time for that?! It is simple. You make something in After Effects, you pick some settings, and you press "Squirt!" After we are done mopping up the mess, you'll have your animated GIF. GIFsquid proudly uses ImageMagick under the hood. The boys over at ImageMagick Studio LLC have really outdone themselves. ImageMagick's powerful algorithms will help make you an unstoppable MEME MACHINE. ImageMagick Studio LLC is not affiliated with Gunsquid LLC and does not endorse this software. How is it Different from Project Cuddlephish? Great question, chum. GIFsquid and Project CuddlePhish are very similar. Project Cuddlephish is focused on quality while GIFsquid is focused on flexibility. GIF files produced by Project Cuddlephish will almost always look better than files from GIFsquid. The catch is that the GIF files will be larger on disk, and there aren't many options to make them smaller without sacrificing quality. GIF files produced by GIFsquid still look great compared to other tools out there. 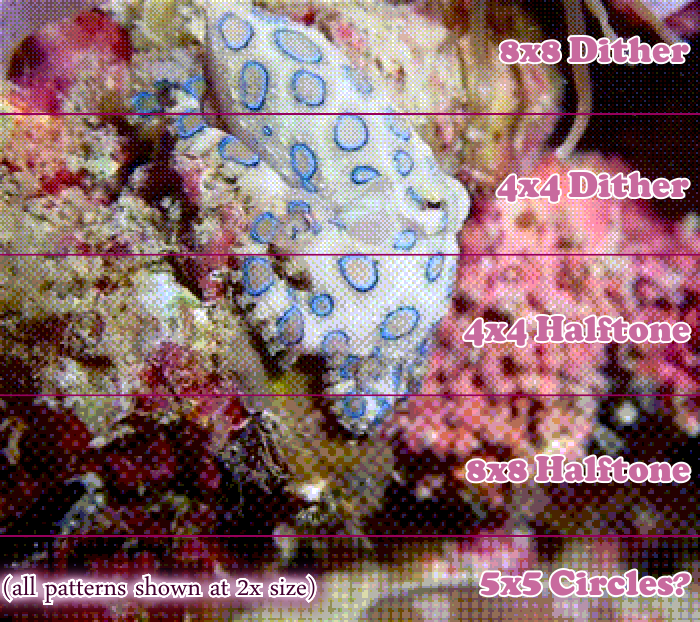 If you're trying to squeeze the best quality out of a really small file, GIFsquid can help. It is also great if you want to experiment with reduced color palettes and dithering. 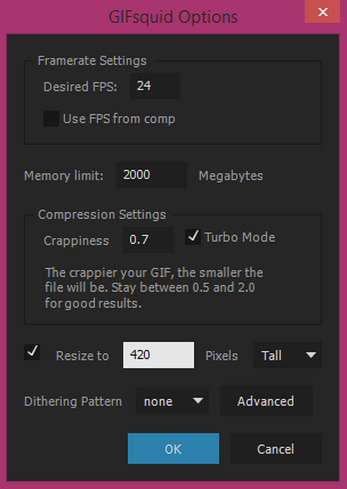 Finally, the "turbo" mode in GIFsquid is super-fast, and can be a great way to quickly export simple GIFs. Windows 7 64bit or later.